I’m a water and ice tea kind of gal. If you’re thinking that might get a little boring, you’re right! Finally, I found a lightly sweetened alternative. A cold tea-like drink that doesn’t have all the calories or sugar, like soda or lemonade has, but still has flavor. 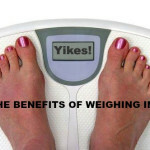 Oh, and without artificial sweeteners, too. You know how I feel about stevia. Okay my friends, here is my new absolutely favorite drink. Lemon Lavender Iced Tea. It’s kind of like a stuck-in-the -garden-with- Arnold Palmer kind of drink. 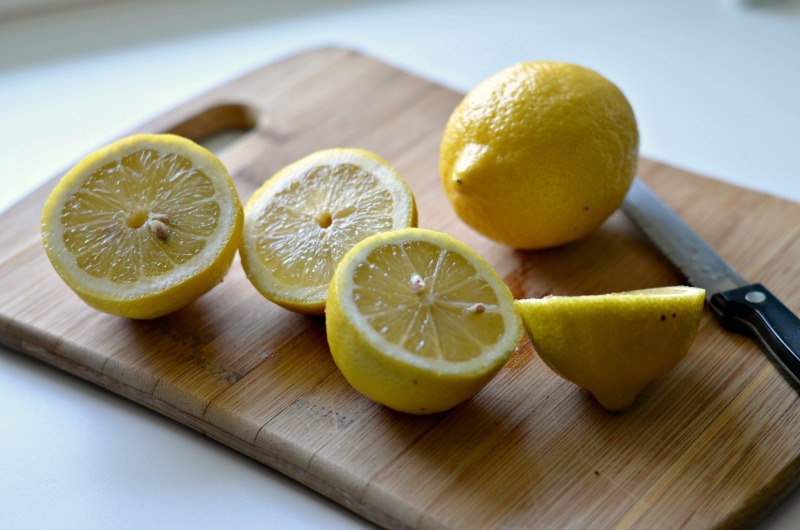 Lemony. Flowery. Light on sugar but BIG on flavor. Honest to God truth…I made one pitcher and drank almost the whole thing while working on this post. What I love about it is its not syrupy sweet, made with fresh squeezed lemons, dried lavender and a small amount of agave syrup. Comes in at about 60 calories per glass. Truth! My friends at Recipe ReDux challenged us this to use “edible” flowers in recipe. Not flour- “flowers.” Not something I do very often. Actually, never. So my mind went straight to lavender in my garden and the distant memories I had of drinking lavender lemonade, on a hot day, at a restaurant that I flipped my switch! But with all the sugar it contained, I think I went into sugar coma the rest of the day. Not good. Time for a re-do! And this is it! 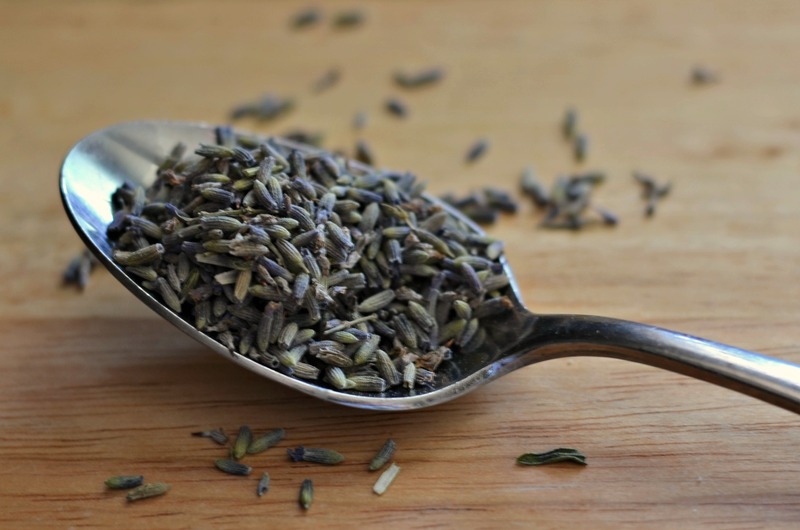 Look for dried lavender at your natural food stores for pennies per ounce. Excuse me while I go get another another glass. And take a look at the other fun and flowery recipes made below by my Recipe Redux friends. 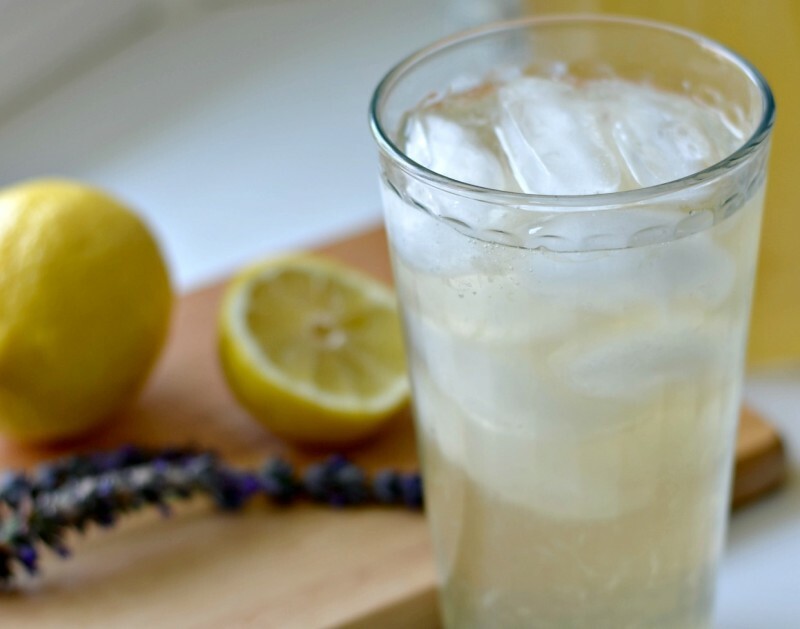 A lightly sweetened, refreshing lemonade with lavender essence.Like a garden escape. Bring 4 cups water to a simmer. Pour the hot water into your pitcher and let the lavender steep in a tea ball or filter for 10 minutes. Remove the lavender and there should be a pleasant flowery fragrance. Add the lemon juice, rest of water (3 cups) and agave syrup. Mix well. Chill well. Serve over ice garnished with lemon slices. Note: Its important to let it chill a bit or the ice will melt too fast and it will be too watered down. I can just imagine how refreshing this drink must be! Such a creative twist on iced tea. Mmm, simple yet delicious and refreshing. You did the smart thing by using a dried flower, because I went on two days of a wild goose chase trying to find edible flowers this time of year! Hi Sarah- Yep, dried lavender works just fine. And it keeps well in the pantry. 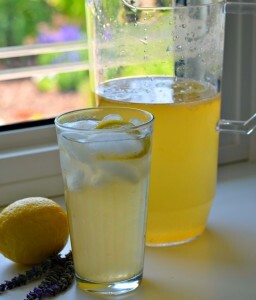 I’ve been loving iced tea lately now with the warm summer weather–this looks like a delicious way to mix things up! This would be great on a hot summer day. Looks refreshing.